It's hard enough to follow the puck in televised hockey, so forget about tracking the many, many on-the-fly line changes. Luckily ShiftChart, a sample of which you see above, is here to do the work for you. 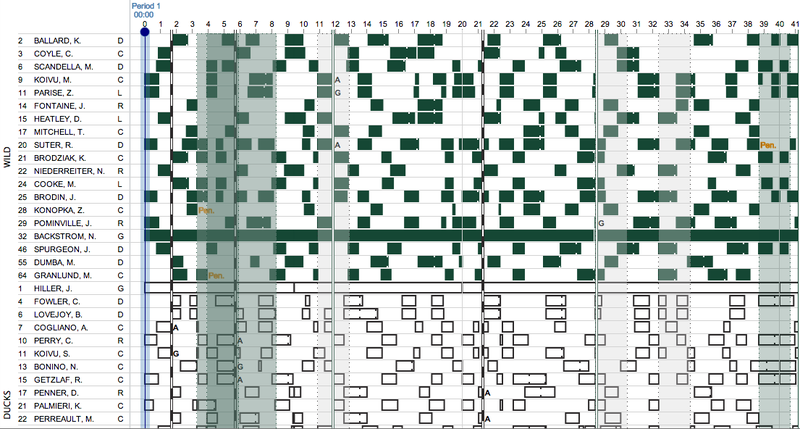 The interface may seem a bit clunky–and it is!–but it's still a clever way of visualizing the dozens of strategic player changes that make up an hour of hockey. If someone was thinking about making a similar database for the NFL, it would be cool if they went ahead and did that.